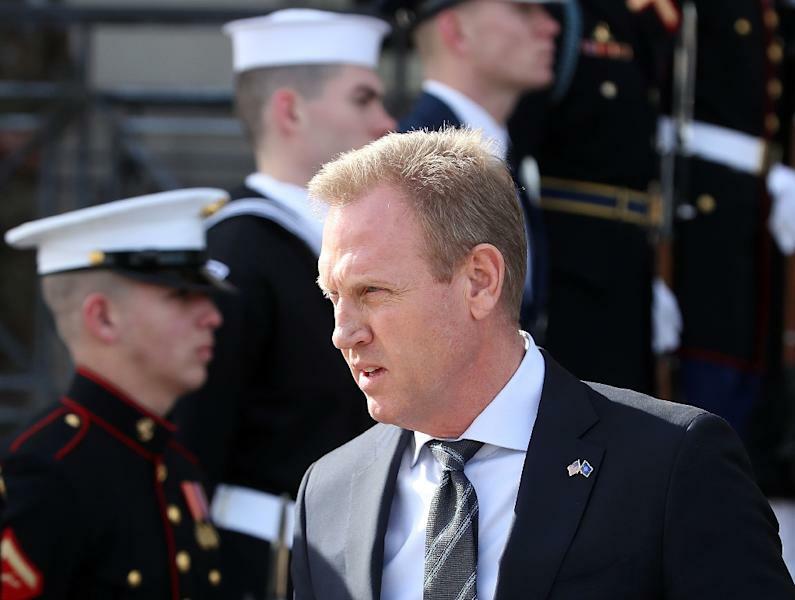 Baghdad (AFP) - Acting Pentagon chief Patrick Shanahan made an unannounced visit to the Iraqi capital on Tuesday for talks on the sensitive issue of a continued US troop presence after Washington withdraws from neighbouring Syria. The acting defence secretary, who flew in from Afghanistan on his first foreign tour since taking office last month, held talks with Prime Minister Adel Abdel Mahdi and top military advisers, as well as Lieutenant General Paul LaCamera, the commander of anti-IS coalition forces. His meeting with Iraq's premier had "a very good energy", Shanahan told the press after arriving in Brussels where he is set to attend a NATO summit. "I made very clear that we recognise their sovereignty, their focus on independence and that we are there at the invitation of the government," he added. Asked whether they had touched on the possibility of US troops in Iraq deploying across the border into Syria for operations against the Islamic State group, Shanahan said: "It just did not come up." The two spoke about Iran "indirectly... in the context of Iraq's independence", he said, adding that Abdel Mahdi had stressed the need for Baghdad to maintain good relations with both its neighbours and the US. A senior Pentagon official had earlier told journalists travelling with Shanahan that Washington's "main partnership and military activity in Iraq is the de-ISIS (IS) mission". Washington was also pressing its allies to repatriate their nationals captured and taken prisoner during the fight against IS in Iraq and Syria, the official said. 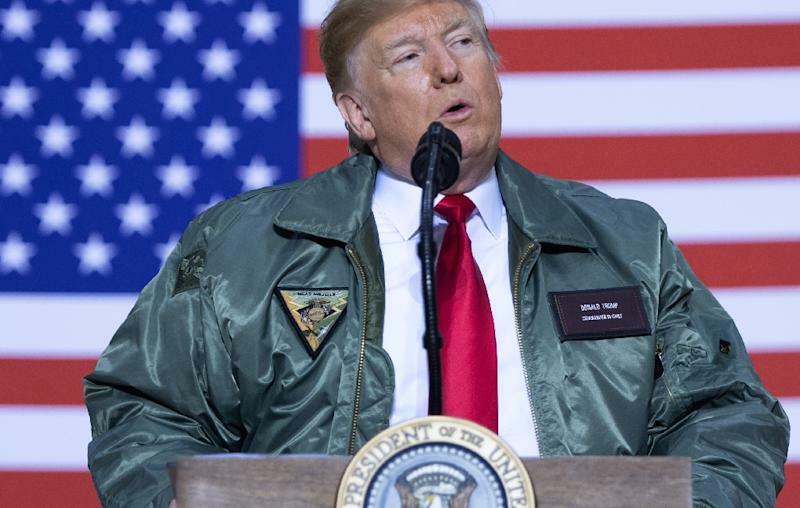 Trump's comments about Iran, in an interview with CBS television aired February 3, drew a stern rebuff from President Barham Saleh, who said the use of Iraq as a base against a third country violated its constitution. They also sparked renewed calls for a US withdrawal both from pro-Iran factions within the government and from Iran-trained armed groups whose power has risen sharply during the fightback against IS jihadists that culminated in December 2017. The plan, judged hasty by both US allies and senior figures within Trump's own administration, prompted the resignation of Shanahan's predecessor, Jim Mattis. But with US-backed Kurdish-led fighters poised to overrun IS's last sliver of territory in eastern Syria perhaps as early as this week, the withdrawal, which other administration figures had managed to slow, is now likely to gather pace. 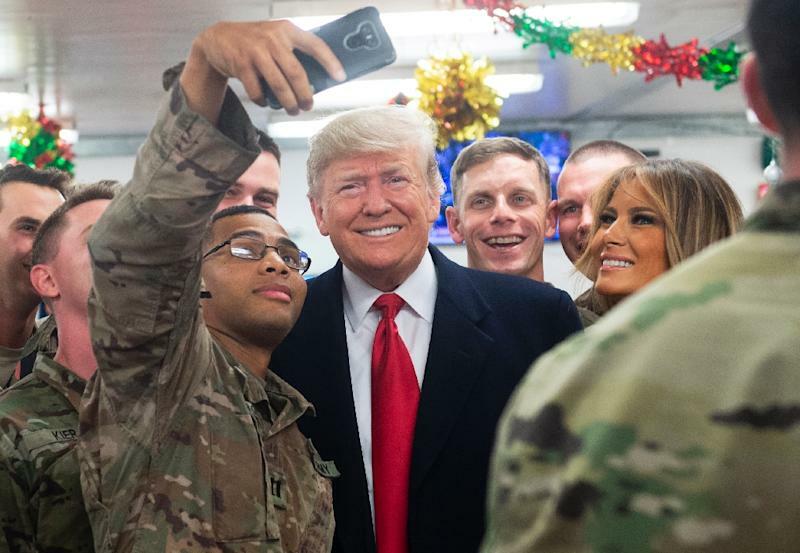 Trump's comments about the Al-Asad airbase came after the US president had already angered Iraqi leaders in December by paying a Christmas visit to US troops based there without travelling to Baghdad to speak with officials. "One of the reasons I want to keep it is because I want to be looking a little bit at Iran because Iran is a real problem," he added. It is backed by both of Iraq's most powerful political groupings -- the nationalist alliance led by firebrand Shiite cleric Moqtada Sadr, and the pro-Iran movement of former anti-IS fighters. As for his talks on Wednesday in Brussels, Shanahan said he would brief his "counterparts here at NATO on my perceptions of Afghanistan, Syria and Iraq and what the opportunities are for the coalition". He said he would discuss "where we can take advantage of the opportunities there... in terms of the potential in northeast Syria to establish an observer force" to ensure stability in the longer term.